Our modern alarms systems are sophisticated, providing a formidable obstacle to anyone who would break into your property or steal your assets. We will guarantee that a resilient system is fitted, and that it is monitored when you’re not around to do that yourself. Fire as well as intruders can be detected by our alarm systems, and relevant professionals notified in either case. It is also possible to integrate alarm technology with refrigeration or other vulnerable systems, alerting you to temperature changes that may require correction, for instance. Your system can send you a text message (SMS), a pre-recorded voice message, or an email to notify you of system events, such as arming/disarming, alarms and troubles. With one-touch, remote control convenience, managing your security system has never been simpler. 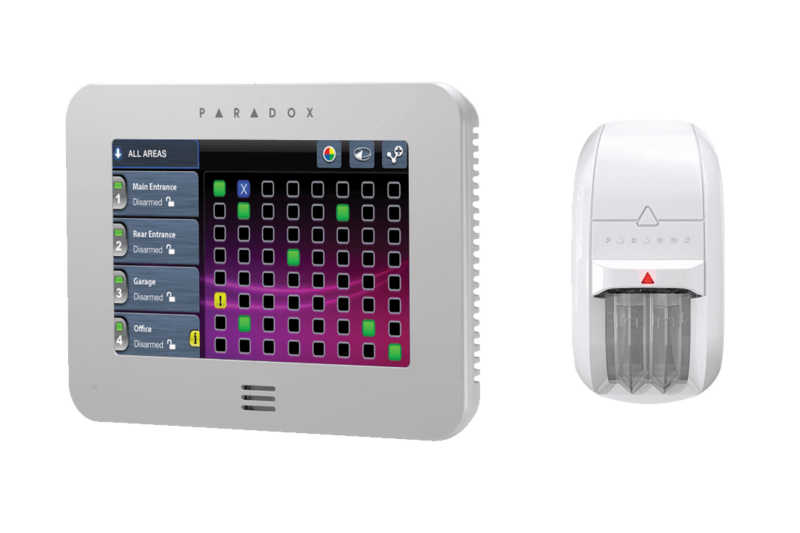 Disarm your system with one button, arm it with another or send a panic signal to your monitoring station. Our smartphone app enables you to remotely access your security system. With arm/disarm control and live system status, turn any iPhone, iPod Touch, iPad or Android phone into a remote keypad. Provide your business with maximum security without the hassle of tearing holes in your wall, running wires or paying for expensive installations. The convenience of a wireless security system also means your system can always move with you to new premises with minimal effort. Secure two separate areas with one system. This means your storefront can be disarmed while your storeroom is armed 24 hours a day. Ensure that a specific area can only be accessed by you or someone you choose, or that an area automatically arms at the same time every day. Most false alarms result from errors that occur from security system owners using over-complicated keypads. 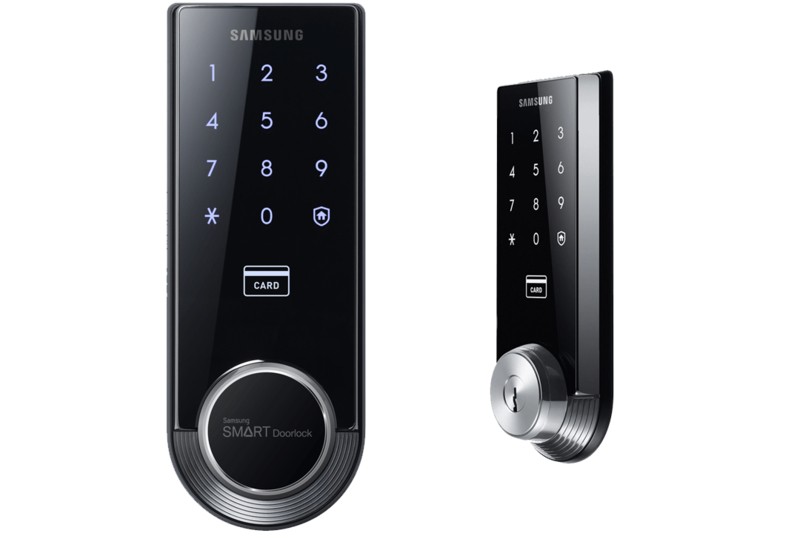 The keypad that accompanies your system has been designed with this major obstacle in mind, and as a result, provides you with guidance and one-touch button ease of use. Choosing the correct camera technology and placement is key to an effective CCTV strategy. We have the capabilities to equip you with an enduring solution specific to your needs. 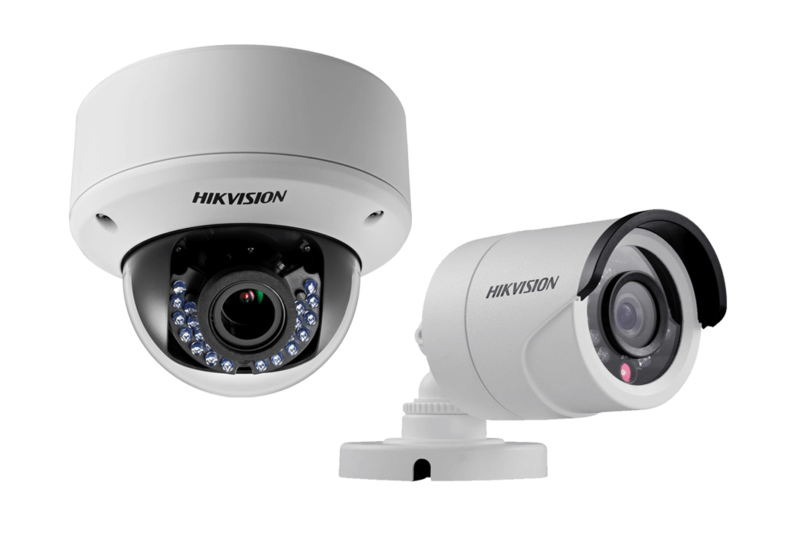 We enable you to build a tailored CCTV system from a number different camera types; choose from commercial cameras, hidden cameras, night vision cameras, and high-speed, pan/tilt/zoom dome cameras, all controlled from a central DVR system or remotely via a smartphone app. Our intuitive smartphone app brings you mobile surveillance video right to your iOS® or Android™ tablet or smartphone. Our system allows you to monitor all camera locations around the globe on a single screen. All cameras record in 1080p HD to give you the clearest possible footage. Using motion sensing technology prevents unnecessary recording, thus extending memory. All of our solutions are installed and maintained by Licensed Security Technicians with a 2 year warranty on parts and labour. Commercial properties often require different people to have access to different parts of a building. Controlling that flow can be made easier with modern technology, ensuring that knowledge of who goes where, and when, is tracked on an ongoing basis. We will help create a solution appropriate to your situation, and ensure that access is managed effectively and remotely. Whatever the specifics of your solution, it will be vastly more security-friendly than people having keys, which can be lost or copied, and consequently compromise your building and assets. A range of different access solutions are employed, ranging from swipe cards and PIN codes to biometric data such as fingerprints, and retina or voice recognition. Manage cardholders, including their access, cards and photo identification. Monitor alarms, control all system aspects, and retrieve and report on stored system information. Automatically enforce business health and safety policies and compliance with government regulations. Welcome, and control access for visitors, ensuring your duty of care. All solutions that we offer can be integrated with remote monitoring by our trained and dedicated staff. You don’t need to invest in additional security personnel – simply allow our technologies to do what they do. In the event of any incident, communication will happen automatically, raised at your location and transmitted instantly to our team. Our staff are highly trained professionals who have the experience and capabilities to respond appropriately. In the event that your alarm is triggered, our monitoring operators are able to pinpoint the location and nature of the signal and follow your pre-designated Response Plan as agreed (whether that means a site visit, call to the police, or contacting one of your nominated staff members). Support from Tomizone Monitoring means you can feel secure in the knowledge that your business is safe 24 hours a day, 7 days a week, 365 days of the year. We offer professional on-site guards and security patrols for a wide range of events and businesses. Our guards will provide you with a safe and secure environment and give you complete peace of mind.